Welcome back to week two of Saturday Night Movie Sleepover‘s October-Halloween month of Horror, where for the four weeks of the Autumn month, J. Blake and Dion Baia are giving you four podcasts to help fill you nightmares with nostalgic terror! This installment the boys are showcasing a classic, and also the first Hammer Studios production to be discussed on the podcast. This week they chat about the iconic 1959 movie The Mummy, starring the legendary Peter Cushing and Christopher Lee. Dion and Blake chat again about their love for the classics and set the table and explain (within the cycle of the horror films) how the Hammer Studios helped revitalize the waning genre, and breathe new life into the catalog of monsters that Universal Pictures established some twenty years before. 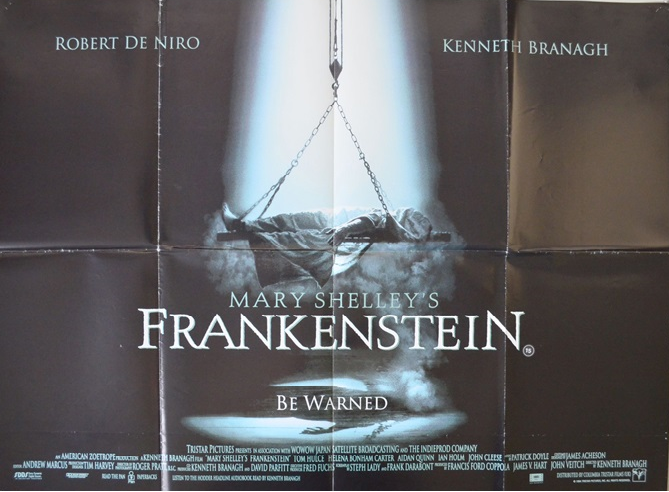 They go through the backstory of how a small British company like Hammer was able to successfully ‘borrow’ the classic monsters like Frankenstein’s Monster, Dracula, and this film’s central character, The Mummy and helped catapult them into the iconic status that we know them as today. The fellas also compare the template that we see these type of franchises cycle through, to the same template in films we see today like with the current trend of superhero movies, highlighting the similarities- e.g. first, the single-character ‘tent pole’ movies, then morphing into the multi-character team up installments. They also gush over their love for legendary actors Peter Cushing and Christopher Lee, and how without these men who went on to endear themselves to over 8 decades of cinema lovers, there might never have been the monster revival that Hammer brought forth, and the lasting impact these amazing horror characters had on us, film fans, having been firmly cemented into our pop culture. But how was Hammer even able to swing using these monster icons and get around Universal’s copyrighting in the first place? How was this film revolutionary, not only within the monster sub-genre but in the overall horror genre in general? How does this film and story hold up today? And is this version of the Mummy actually the precursor to characters we see in decades to come like Jason Voorhees or Michael Myers? And what impact have these movies left upon cinema? Well come one down and listen to week two of the horror extravaganza in another all new edition of Saturday Night Movie Sleepovers! Check out the original trailer for this 1959 classic! Take a look at the TCM intro for 1959 The Mummy! AND here’s the Outro! Here’s a great interview with Christopher Lee about Dracula and The Mummy! 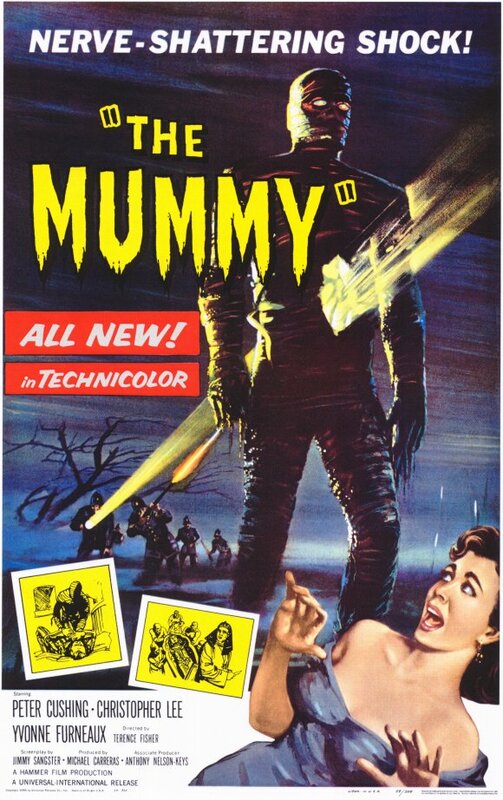 Watch the Donald Fearney‘s documentary on Hammer‘s cycle of Mummy horror films! Have a listen to the pilot of Suspense Radio show, of The Lodger, directed by Alfred Hitchcock, which is a radio series Dion and Blake absolutely flip over. SNMS cannot recommend enough, for those interested to check out the classic radio shows (commonly referred to OTR, meaning Old Time Radio) on archive.org that are now public domain. On this .org site, enthusiasts compile the best surviving sources for each particular show and add new ones or discover better quality episodes everyday. Have a mozy and see if you can find a genre and/or show that you’d love today; and we guarantee that if you take the time, you will find a show you’d love. The rest is on you.